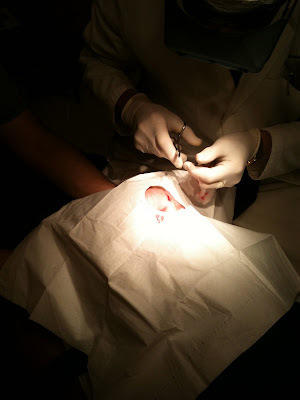 The Many Mini-Adventures of the Wards: Jackson get's stitches AGAIN! 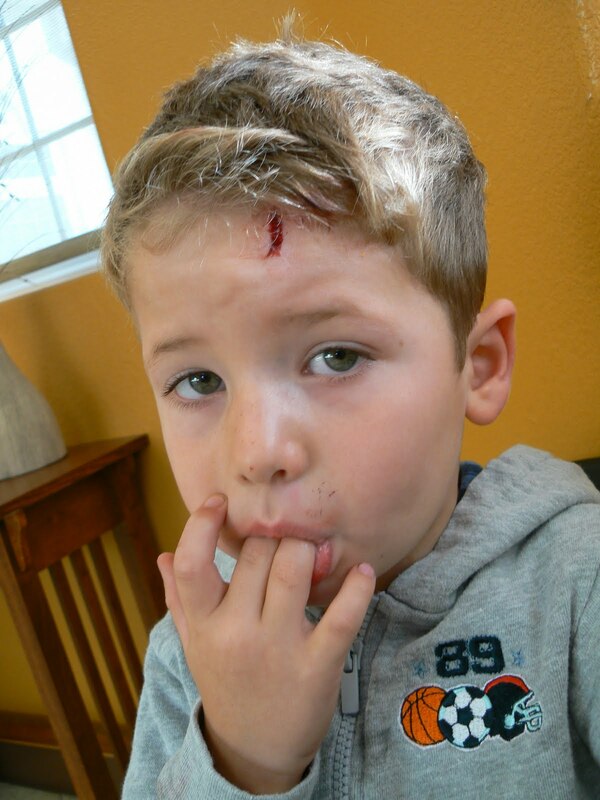 Just in time to kick off Spring Break this year, Jackson took a header off the trampoline and smacked his forehead into the trampoline frame. It split his skin perfectly down the center of his forehead. We butterfly bandaged it up pretty good until we got to see our favorite expert stitches doctor at urgent care. 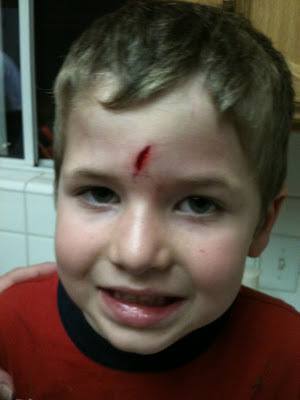 Remember, Jackson had his first set of stitches only 6 months ago. We got to see the same doctor again. Here we are in the exam room. That gash was really good. Here's Jackson under the paper shield and the doctor's expert hands working their magic. Can you see only his boo boo peeking out from the cutout in the shield? 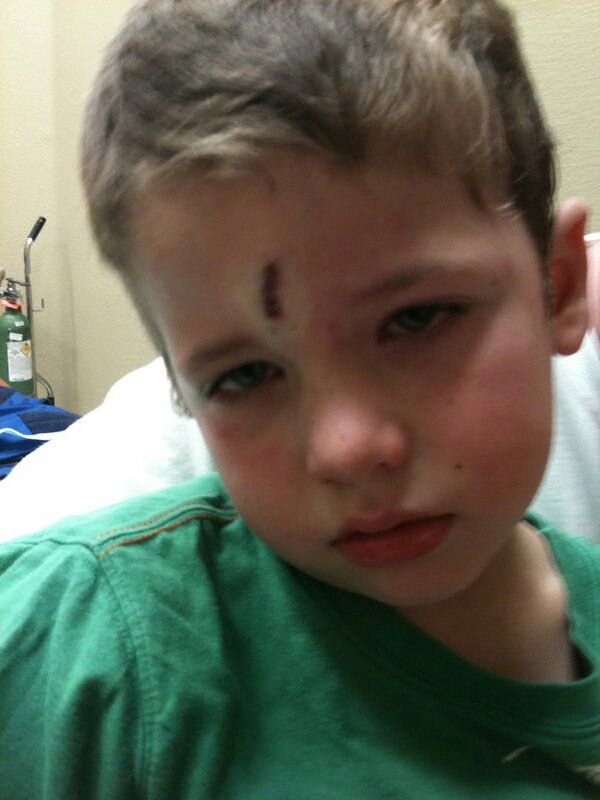 Jackson was not a fan of getting stitches. He told us as much afterward. He did not like being strapped down to the papoose board totally restrained from using his arms. Can you see the white ring of skin all around the stitches? That is the numbing medicine the doctor shot right into the gash. The stitches didn't hurt going in, but that shot was sooo painful! Here is our boy at his Easter portrait photo shoot. Stitches removed. Happy as can be. It looks ok in this picture, but if you see him anytime within the next 30 days he will have a big purple splotch of "anti-scar" ointment over his scar. 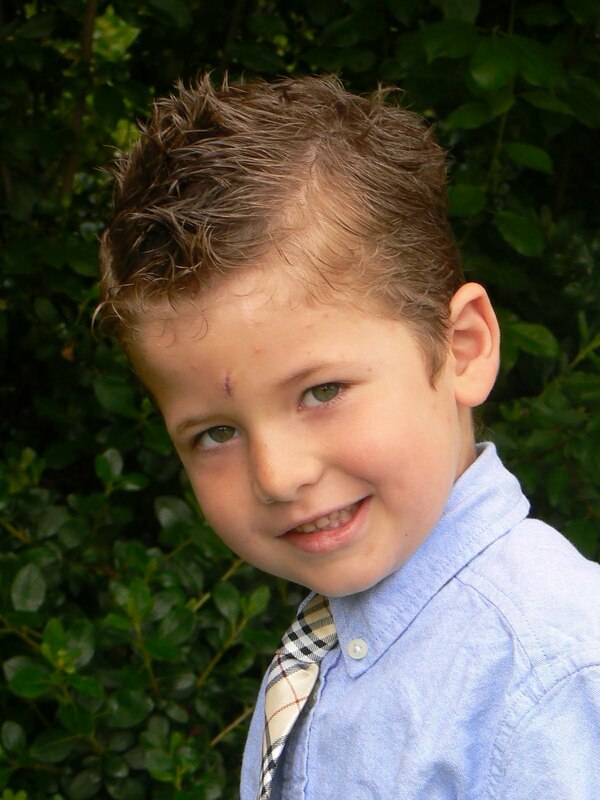 We will do our best to make sure that scar is as small as possible in that prominent spot on his forehead. We can only hope that there will be a single scar right there on his head. 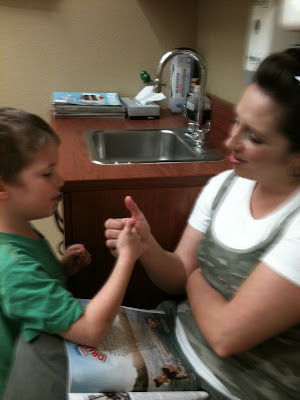 With Jackson's track record we're probably in for many more trips to the urgent care.